For Star Wars there is a single negative. From that the many interpositives were made and the one or two color separations. From the interpositives the internegatives were made which is when the cigarette burns are added. I think that is also where subtitles are added. From the internegatives the regular prints are made. It is a well documented process. No where have I ever heard of special telecine prints. I have heard that telecines have been made from both release prints and interpositives. Well I’m not surprised you haven’t heard of telecine prints if you keep insisting on calling changeover cues “cigarette burns”. Foreign language subtitles for subtitling the films are etched in directly to the prints, however the subtitles you probably mean are the Greedo Subtitles and they are an optical composite - so from a master positive I would say and inserted into the negatives used to strike prints. Now, if you want to talk television,the easiest way to distribute is on film. The early years of Doctor Who have survived because they were transferred to film for international distribution. That’s a bit more of a complicated process because they filmed the 50i picture on a broadcast monitor at 25fps (dropping every 2nd field) onto 16mm in a process they called “Telerecording”. Then that film would be stored and used to strike prints for telecine and distributed (and yes they are all low contrast prints before you ask that wouldn’t look very good projected). The telecine prints could be transferred in PAL countries back to 50i (although it has lost half the original resolution) or in NTSC countries to 60i using 2:3 pulldown played back at 24fps (or 23.976fps for colour television). Also, the ease of this process for PAL material I suspect is why more US television shows were originally shot on film compared to UK shows. Telerecording wasn’t really suitible to transfer NTSC videotape to film. But we are talking a studio film, telecined by the studio for home video release. Why strike a new print when you have retired intermediates and prints on hand to use. That would be a lot of needless film transfers to do a telecine on a machine that can handle 35mm film of any type. And add to that the volume of transfers Fox was doing for home video. I can’t be specific with many of those telecines, but the 1985 US release was definitely done in house. Because it’s a lot easier to transfer low contrast film - even today any modern film scanner - the Lasergraphics Scanstation for example - works much better with negatives or inter-positives, or other lower contrast lab films than it does with release prints that have a much higher density and are more difficult to transfer without introducing excessive scanner noise. That’s not to say you can’t get good results from theatrical prints - you can I know as I’ve had several scanned - but you need to work with a scanner who understands the issues that they present and is able to accommodate them, otherwise what you end up with is a noisy mess. To put it simply - all lab film other than release prints is low contrast. You only use theatrical prints for telecine if it’s the last resort - even if you didn’t have any telecine prints you’d use the internegative or the interpositive or the o-neg or the master positive or whatever lab film you have available with a timed soundtrack before you would even consider using a theatrical print. Telecine machines were not designed to transfer projection prints, and they didn’t do a very good job with them - end of story. And we can go round and round about the quality of the prints, but if you like the look of the Tech prints, that’s fine. I don’t. I think they are flawed and not an accurate source for the original colors. I think we can get closer by tracking how each existing copy was made and correcting for the flaws. And I think you need a better source for your evidence than telecine transfers as they use different prints. 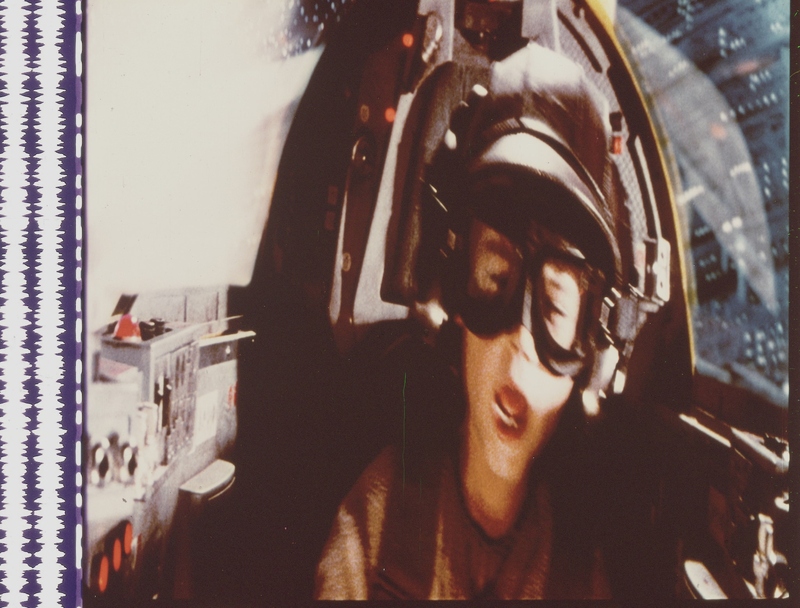 RU.08 - perhaps you have missed the many articles on the conditon of the O-neg for Star Wars. It was used for the production of all the interpositives - there was no duplicate negative made. Lucas was lamenting that. They did an expensive 3 color separation master and no duplicate negative was ever struck from it. The o-neg shows considerable wear from the constant use of making the many interpositives and presentation prints needed over the years. I don’t mean a backup struck from the separation masters, I mean a duplicate struck from the inter-positive. It may be that they struck a reduction negative (16mm) from the inter-positive in 1976 and used that as the master for all the telecine prints until the 90’s. Regardless, the foreign releases would not have been made by cutting up the o-neg, but they could have been reversal prints (although not the telecine prints). That all the telecines before the Definitive Collection have the reel change/cigarette burn (two terms for the same circular marks) and the fresh interpositive widely reported as the source for the Definitive Collection doesn’t just means that it really is a fresh print. “Cigarette burn” is not a term for the changeover cues. They were frictionally called that in Fight Club, no one in the industry has ever used that term. And again, they’re in the negative so it doesn’t indicate that they were using theatrical prints, just that the negative they were struck from had changeover cues in it probably because it was the same negative used to strike prints. And the report that a separate print must be used for the telecine process just is not accurate. I found a description of one of the common high end telecine machines that can do 16 or 35 mm, prints, negatives, or intermediates (as in interpositives). No one said you “must use” a specific print, I was simply stating what was industry standard. For some really low budget independent films and that kind of thing, they may not have had telecine master prints. For a standard Hollywood Feature though it would be very unusual if they didn’t. And TN1 released a raw scan of their SSE project. I have it. They had to splice in the opening sequence because the better print for reel 1 was not in English. I’m pretty sure the faded opening sequence is in fact spliced on to the Spanish LPP. There are some other slices as well, but largely the reels are uncorrected. Reel 5 is very dark (to dark to be of much use on this topic), but the scenes I question from the Technicolor Print are in reel 2 and that reel has a very consisted yellow tone and the contrast of the original image is quite easy to make out and it is quite different form the Technicolor prints. Which again you can’t say is the result of how the reels actually look. I have two scans done of the same reel 3 of Jungle Book by the same scanner - and the colours look like they come from completely different prints. What happened was a splice opened up when scanning, and so the reel had to be re-scanned later but that wasn’t done for a few weeks, when it was done the scanner ran the whole reel through again - so I have about 3/4 of the reel on the first scan and the whole reel on the re-scan and the colours are completely different. Looks like a separate print. There is no doubt that the Spanish LPP scan would have some of these issues as well - if reel 5 appears much darker it doesn’t mean the reel really was darker than the rest of the print (although it might have been), it just means it scanned that way. If they re-scanned it on a different day it could look different. The Telecines all have similar contrast to those shots that match the raw scan for TN1’s SSE. So telling me that the final product was graded to the GOUT is irrelevant to what I am pointing out because I am going off of the uncorrected raw scan. And it would be interesting to ask the question if the SSE has scene by scene color correction or a more general color correction to each reel or spliced section. Having watched it several times I feel it is the later. But what does “uncorrected raw scan” mean? With a homebrew setup like the one TN1 used, I’m willing to bet the camera did an auto-white balance at the start of each capture. That would mean each reel would look different when scanned. A professional scanner uses a calibrated lead strip of film to do the white balance, and then scans the film - I can just about guarantee you TN1 did not do that with the Spanish LPP so what you have is 6x scans (or more) done separately with separate white balances. The assumption is being made that the Technicolor prints are the most accurate color for the 1977 release and what I am seeing is that those prints are heavily flawed in a number of ways. They have faded the least over the last 40 years, but they are not the best source of the 1977 theatrical optical print colors. We’re going around in circles here. I expect the dye-transfer prints to look a little different, that’s normal. But you can’t conclude they’re “wrong” because a handful of scenes don’t look right to you. The cinema screen is much more forgiving than the home viewing environment, you notice inconsistencies less in the cinema because you’re watching the film in a blacked-out environment, you no longer have a reference point other than what’s on the screen for colour. 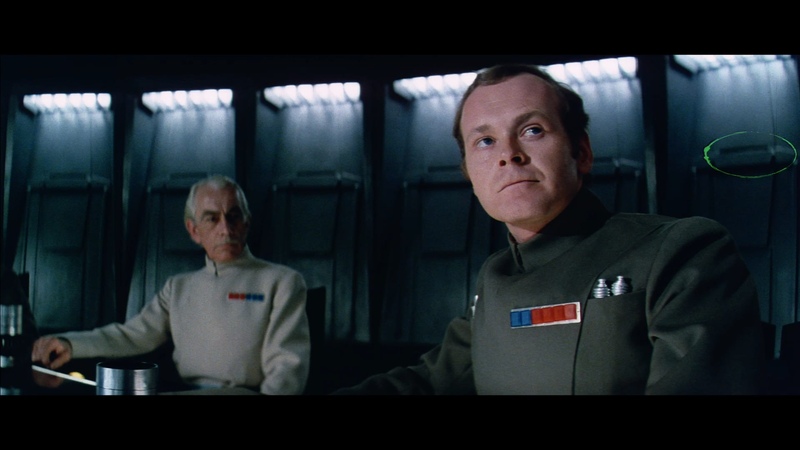 So I see no evidence that Star Wars/A New Hope ever had duplicate negatives or special telecine prints made. And the reason a lot of the prints have black cigarette burns is that they are typically applied to the internegative. Not a duplicate negative. The internegative is a dupe-neg. In any case we’re now on the same page, the film prints were struck from a duplicate negative. You’re mistaken though if you think they only struck theatrical prints and not telecine prints as well. And your comment about the transfer for Song of the South was amusing. If you read the credits you will find the name Natalie Kalmus. You will also find, if you pick up a copy of Gone With the Wind (the last restoration was true to the original Technicolor timing), that the colors are similarly bright. That was a hallmark of all the early Technicolor movies. This is why we used technicolor to describe things that are brightly colored. Natalie Kalmus, wife of the inventor of the process, insisted that all movies made in Technicolor highlighted the process by using bright colors that were further brightened in the post production process. A selection of movies from DVD/Blu-ray, or from TCM that carry her name will show that the transfer for Song of the South is accurate to how she wanted the movie to look. That is why Dorothy in the Wizard of Oz had Ruby slippers instead of the original Silver. After her involvement ended, the Technicolor process was muted to more realistic colors and it was common to use a color negative and leave Technicolor to just the prints. You can see obvious flaws in the telecine, and that’s my point. 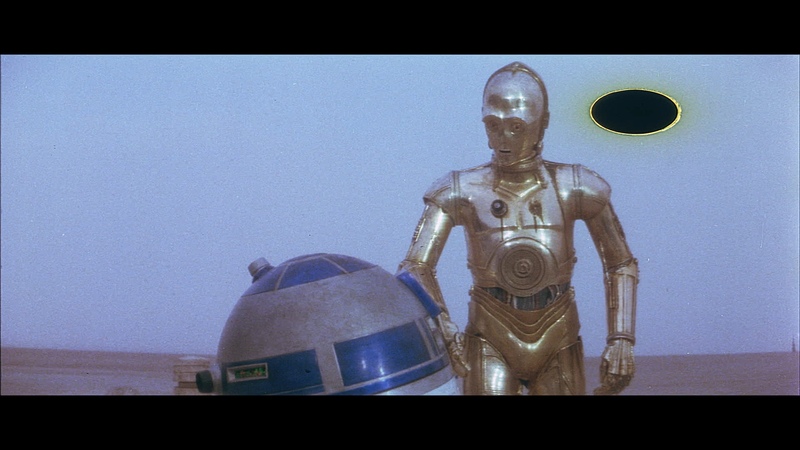 Star Wars was the last film to have technicolor prints. So Suspiria doesn’t count then? Anyone here worked at a production facility that was closing down? Shoddy work is typical of that environment. The green tint to the dark areas of Star Wars isn’t news and is a known flaw. Why there can’t be other flaws if there is already one known makes no sense. The general look of the Star Wars Technicolor prints points to someone not doing their best. And I’d rather believe they goofed up making the separations in the color timing than they screwed up the printing process. And that is what it looks like. The shots I question look like they were overexposed and washed out. The green shadows could be a timing issue as well. Your only evidence is your subjective opinion, without a known reference point, that the dye-transfer prints “look wrong”. With respect that’s just not going to cut it. I’ve seen films that look like a mess on 35mm with it having little to nothing to do with the final prints themselves. Films I’ve seen on photochemical prints (Kodak, Fuji, etc) often have green or other colour tints in the dark areas. While you might say that’s a “flaw” there’s absolutely no evidence that it has anything to do with the printing process. You often find a handful of scenes like this in reels with other scenes that have “normal” black levels without a tint - how can that be due to a part of the final printing process? Simple - it can’t, it isn’t. It’s in the negative. Don’t put a direct link on the forum, it has to be shared privately. Are you re-encoding this from the source files? Because the 15.2 GB version is available as a direct link on capedwonder.com but the compression is awful it needs to be re-done from the master files. grain over the bluray edition. It’s not fake, but it’s not a private scan either. They (ITHoTMK I’m guessing?) took an existing transfer of the film (probably a telecine for broadcast I’m guessing) and reconfigured it to be theatrical by inserting shots from other sources. But the compression was awful - the 15.2GB capedwonder direct link still works. Hopefully ITHoTMK is re-encoding it properly to bluray bitrate in which case it should look a lot better than the original encode. Whether it actually came from a “print” is debatable - if it did it came from a telecine master print, not from a theatrical print. There’s way too much detail in the dark areas for it to have come from a theatrical print. My evidence is the large body of transfers being so consistent. No, I am not intimately familiar with the telecine process. Unless they had some guide they were distributing with the prints, it seem pretty impossible that 13 different telecines done all over the world would end up having the same shots that look different form the Technicolor prints. Add to that Puggo’s work and Team Negative One’s work. And that is just with the original movie. If you add in the SE, you have another set of transfers that are again different. So you have a handful of shots across ~13 different telecines that look consistently different to the theatrical Tech prints. How does that indicate any cause and effect relationship to the Tech prints? Also, Puggo and TN1 do not have proper equipment to grade the films correctly to the projected image, this was confirmed by Williarob in this thread. He said that TN1 used the GOUT as the colour reference. And except for the English language 16 mm print that Puggo used and the Moth3r bootleg, all the versions (35 mm, Technicolor, pan and scan, and widescreen) have the identical end credits. However, the 3 FX shots (the Falcon being shot at by the Star Destroyer while leaving Tatooine, the composite arrival outside the Rebel Base, and the Rebel fighters streaking across the sky) are not found in any non-English print. The only explanation for what prints they are in is that the earlier version of the shots (in each case the flaw it pretty clear) were from the May 1977 release and the opening and closing credits were changed out to do the home video version. That means this cannot be a print struck from the negative for a telecine. Why can’t it be from a print struck for telecine? For all we know all telecine prints could have been struck from a dupe-neg made in 1977, there’s no reason to assume they were struck from the same negative as the release prints. Was the o-neg a cut negative or a duplicate negative do you know? I was under the impression it was a cut negative - if that’s the case it would make sense not to use it for striking reduction prints and home video telecines, in which case a duplicate negative was most likely created for this purpose. If they need a different print to do the Telecine then it would have to have been struck from the interprositve used in May 1977. You don’t typically strike prints pos > pos (reversal prints) except in exceptional circumstances. And certainly not just for telecine prints. These older telecines also have ciggarette burns at the reel changes. No they don’t, they have changeover cue marks. But even so if you just look at them what do you notice? I’ll tell you what you notice, you notice that all of the above examples with the exception of the Technicolor prints, have cue marks etched in to the negative, not into the final prints themselves. What this suggests, if anything, is that they may have reused a dupe neg (internegative) used for striking theatrical prints with cue marks etched in to it to strike the telecine prints from. But that may not be the case, it could still be the same negative used to make the Tech matrices, but the matrices were made before putting in cue marks (in other words, they struck the separation negatives for the matrices first and then put in the cue marks and made contact prints). Also, we don’t know where they struck the b&w Tech separation negatives do we? I kind of doubt they would ship the valuable cut camera negative to the UK if they could strike the separation negatives for Tech printing in the US. And even if they couldn’t it wouldn’t stop them sending a dupe neg to the UK instead. By the time the telecines were needed, the negative had been long changed. But which negative? That only matters if the telecine masters were struck from the cut negative, if they were struck from a dupe neg it doesn’t matter if the o-neg was changed. The first official telecine was in 1982. The negative had to have been changed before the end of 1977 for the international version and probably the wider release later in the summer. So the 3 FX shots archive just when the prints were taken from the O-neg. As you say, it is easy to change the credits. You don’t alter the cut-negative for international releases, you make a duplicate negative and send it to its destination to be used to strike prints. 1982 may have been the first full transfer of the film to television (was it?) but there were certainly clips telecined in 1977 and probably as far back as 1976. Which means they had telecine master prints from the start for that purpose (probably 16mm telecine prints that could be cut up to use as clips in specials and promotional materials, as well as trailers and tv spots obviously). I am not saying that the telecines are identical in all respects, but they follow so close in some ways that differ from the Technicolor prints that I can only conclude the technicolor prints are flawed. 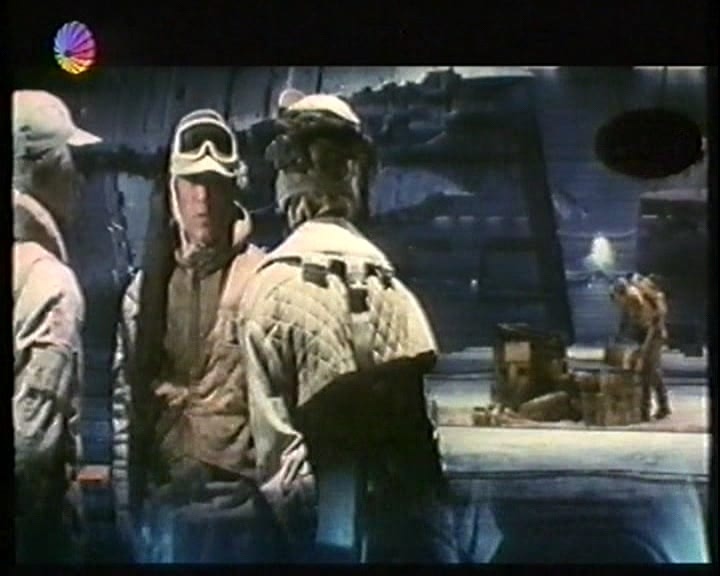 If the prints used for telecines are lower contrast than the release prints, then they would have even less color in those Tatooine scenes that look so washed out and it would be even more impossible to pull so much contrast and color out of what we see in the Technicolor prints. Not at all, a low contrast print still has a wide dynamic range and the telecine operator can pull as much saturation as they want to make the colours “pop”. Also, it’s typical of telecines to push a much more saturated picture than is theatrically accurate. You only have to look at the 35mm transfer of “Song of the South” to see that. No one at Technicolor in 1977 could imagine we would be sitting here analyzing their prints 40 years later. I’m pretty sure they would have imagined it because it had become well known that all photochemical prints were fading, and Kodak was rushing for a solution. Even by 1977 many older films only had Tech prints as a reliable reference for the theatrical colours of older films. They did one final movie and the prints have known flaws that because of the nature of the prints come down to us now just as they did them. Star Wars might have been the last at the London lab, but the dye-transfer Suspiria prints were made a year or so later in Rome. And it isn’t like we don’t have access to the raw scans of other prints to compare to. I have compared all the versions I have and only the Technicolor have those odd washed out Tatooine scenes and the green shadows. It seems like the color timing used to make the master wasn’t quite correct. And I realize that nearly every version I have access to has been tweaked and color corrected to look better, but the sheer volume of transfers and the consistency of what looks different from the Technicolor prints can only point to the Technicolor prints being flawed during the creation process. Well no we don’t have any other scans. The only other scan we have is TN1’s scan of the Spanish LPP. But that’s a dupe-print quite likely from a dupe-neg. That’s not going to tell you anything. You’d need to get your hands on a faded Kodak US release print and transfer that. Also we don’t have an uncorrected Tech print scan either unless you have something I haven’t seen? 4K77 went through a shot-by-shot colour correction. Plus TN1 shared a grindhouse version - uncorrected. This again matches to the Telecines, not to the Technicolor. Yes, there are differences in each different telecine, but as a body, along with the scans of the 35 mm and 16 mm optical prints, they show a consistency of what the film should look like that is at odds with the very exact scans of the technicolor prints that very faithfully show us what those prints look like. This video was made in late 80’s/early 90’s, before HD came along, and it shows a Rank Cintel Mk III which can do either 35mm or 16mm film. From what I can find, machines of that caliber had always been able to do both 35mm and 16mm film, back into the 60’s. ?? The exact model isn’t important, a telecine transfers straight from a film source to a broadcast or home video format (480i60/567i50/720i50-60/720p23.976/1080i50-60/1080p23.976 etc). The important thing of note with Star Wars is that no release I know about was ever a from a standards conversion (which until 1989 the “best” way to achieve that involved using a film-out as a go between anyway lol more on that here). Put simply a lot of technology was devoted to transferring video to film and film to video, and not as much was devoted to video to video (although there were still things you could do video-to-video which was very important for broadcasters). yotsuya = ronster 2, still digging that hole, whether he understands it or not. even now. 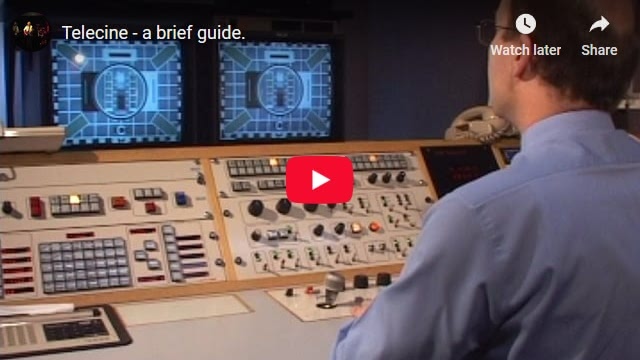 In the video you can see at the 13:30 mark that the operator describes grading as “an essential part of telecine work”. Anyone who thinks that telecine transfers have little to no grading done to them is mistaken - you can see the process in the above video, and the operator is able as you see to make scene-by-scene adjustments in the “rehearsal” and save them to memory before running the actual transfer. There were 5 edits to the movie between the 16 mm US release (the main source for Puggo Grand) and Moth3r bootleg and the fresh print used for the Definitive Edition/Faces/2006 GOUT. The obvious one is the opening credits. It’s actually not unusual for minor edits to credits to be made for home release and/or broadcast. But 3 FX shots were also changed as were the end credits. Also not unusual if, for example you tweak a shot for a commercial break. By the way which are the three FX shots you mean? Now, I’ll ignore the changed opening sequence because we all know when and why it was changed. So far, all the 35 mm prints that this community has found and used, be they optical transfers or Technicolor prints, are have the other 4 changes. The key to understanding when those 4 changes were made lies in the release sequence after the initial release (which was 35 and 70 mm with only the Dolby encoded stereo track and the 70 mm 6 track). Both Puggo Grand and Moth3r have a stereo mixdown mono track instead of the real mono track created later in the year. By the time they made the international release, they had the mono track done and the edits had been made. Not one international version has been found without the 4 changes. However, all the US/UK (as in English) home video releases between the Moth3r bootleg and the Definitive Edition are missing the 3 FX changes. Again, the home releases would not have been made from theatrical prints. They’re made from special prints struck from the negative specifically for telecine and used for no other purpose (broadcast versions would be from 16mm prints for telecine shipped around the world). Also, being an avid movie fan, I have encountred troubled telecines in the past. Right, and why do you think that is? It’s often because they didn’t have a proper telecine print to transfer and had to use a release print or an IP or some other non-ideal film material for the transfer. The transfer for one of Hao Miyazaki’s films carried a bad orangy tint. They quickly did a corrected version and blamed it on the source being an interpostive print that wasn’t fully corrected. The information I’ve found on the Definitive Edition LD release indices it was done from a new interpositive print. The color is off on the DE/Faces/GOUT US/UK version in a manner that is consistent with an interpositive print (slightly orange and low contrast). A “telecine master” is a 35mm or 16mm print struck for telecine. It’s a print used for no other purpose. It doesn’t have to look any good projected, so they usually had low-contrast to give the telecine operators more room to adjust the picture. They also have their own colour timing. Even if you have found consistency in the telecine prints it doesn’t mean that the theatrical prints looked that way. Poita is only talking about the home releases, there would have been several more struck for broadcast. Broadcast video tape in the 80’s was much more expensive than film, TV stations would transfer movies from the 16mm telecine prints when they were needed for broadcast, and then erase the tape and use it for other broadcasts, then when it came time to show the film again they would transfer it again. So if one station played the film a dozen times throughout the 80’s they probably transferred it anew from their 16mm telecine print each and every time. That’s why there were several of these prints, it wouldn’t have been economical to keep sending them back and forth between the TV station and the distributor, the TV stations were usually sent their own copy so they could keep using it. Also, being a lover of old movies, all of the old Technicolor movies that saw relseases on home video (tape, LD, and DVD) were telecined from release prints, so telecine operators are obviously familiar with using many types of sources and can work with what they are given. No they weren’t. Some may have been, especially as home video was in its infancy and so films in the 70’s or older never had telecine masters for home release - but those films did have TV telecine masters and it’s much more likely a home release would have been made from one of those than from a release print. Which brings me back to some of the scenes from the technicolor prints that bother me. Particularly that scene where Ben and Luke are talking in the canyon. There is little color to recover in that scene and yet so many of the transfers show a nicely blue sky behind Ben. 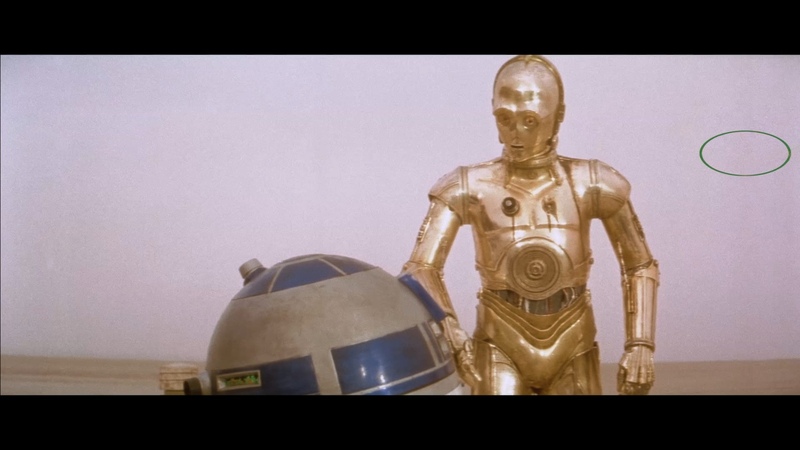 That scene and those like it (which seem to be mostly on Tatooine) are timed very differently between the Technicolor version and all the other versions. To me that indicates that when they created the 3 color master that starts the Technicolor process, they did not get the timing settings right. And they didn’t get it right in an oddly consistent way. Plus there is the green tint that we already know about. If they screwed up the timing in one place, maybe they did on the whole thing. That is why I say careless. Once the master is made, it is hard to screw up the rest of the process unless you fail to get the dyes the correct colors. But as a result of what I have seen from Mike Verta’s samples, DrDre’s samples, the 4k77 no-DNR version (which sticks to the Techncolor asthetic), and the samples of raw scans of both 4k77 and SSE, I don’t trust the colors on the Technicolor prints. And I bet if you could project one side by side with an optical print you would see the same odd timing. I don’t see how a telecine operator could pull that much color if it wasn’t already there. And it wouldn’t be just one. By my count, ANH has had more than 13 separate telecines from around the world. The scene of Ben and Luke and the canyon looks nothing like the Technicolor in any of them. That is way too many different telecine operators making the exact same (and nearly impossible) correction. The telecine operator can pull that much colour because telecine prints were low contrast. A fact I’ve pointed out that you’ve completely ignored. The problem I have with your assessment of the Technicolor process is that you have absolutely zero evidence to support the process being flawed or “screwed up”. The only thing you can point to is your subjective opinion that a certain shot should look a certain way. I’ve seen a lot of films on 35mm, and 70mm, and sometimes a film has consistent grading throughout, sometimes they have a few odd shots not graded right, and sometimes they’re all over the place. From what poita has consistently said - Star Wars was a mess, the grading is all over the place. It has nothing to do with a flawed printing process, they simply didn’t have the resources to do a completely polished grade to the IP, GL cut corners and prioritised other things. points to very little tweaking during the telecine process. With respect, you’re simply wrong about that. There is a lot of operator tweaking during the telecine process. To claim that they put a print through and do little to no tweaking is just not factual. It is a flaw in the Technicolor print. This claim you keep making is not supported by any evidence. Did the Tech prints and Kodak prints look different to each other? Yes. Is one right and the other wrong - no. But if you have the last movie to get Technicolor prints and someone didn’t do things right, then you can end up with a superior process producing inferior prints. I think that is the case. Everything I’ve found points to that. That’s just speculation, you’ve got no evidence. 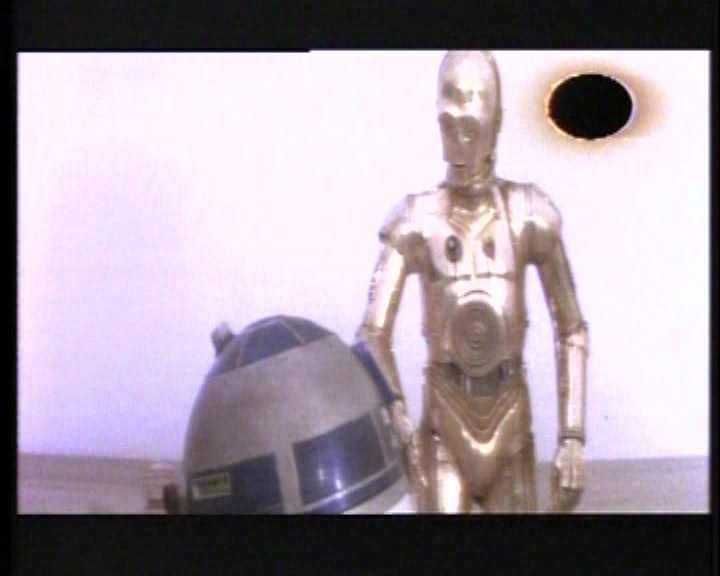 The Technicolor process can indeed go wrong, and it is known to have done so in the past, but there is no evidence at all that there was any flaws in the printing process for Star Wars. The film was massively rushed, particularly towards the end. It had quite a few composite shots, and was shot on varying film stock and even formats. The result is the grade is pretty awful, even shot-to-shot balancing isn’t great in some scenes. It was always the Lucasfilm way to cut corners and do things their own way. That’s how Star Wars was made, and without that it never would have been the film it was. For example GL wanted to use lots of matte paintings and didn’t care they were rushed and low quality - no one else in mainstream film-making did that. Which is what you get when GL prioritises other matters like getting the films released to cinemas in that year, their resources to work on the home release for the same year would have been stretched thin. 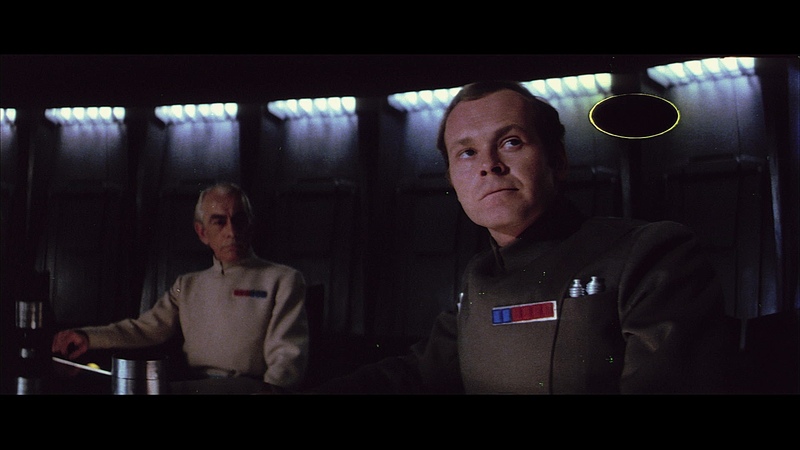 I hate to argue with you, Poita, but I don’t think the colors in Star Wars/A New Hope are as bad as you think. I think what you are referring to are the Technicolor prints which I have seen are quite messed up. But with the process winding down and Star Wars being the last film with commercial Technicolor prints, it isn’t a surprise that they screwed up the colors. No, Technicolor would not have produced mediocre prints simply because they were closing up. The dye-transfer process was meticulous and specialised. And I don’t think you are correct about the telecines. While it is true that a telecine operator can tweak things on the fly, the overall consistency between the various transfers indicates that is not what we are seeing. Team Negative 1 and Puggo have both transferred multiple 35 mm and 16 mm prints to arrive at the Silver Screen and Puggo Grand presentations. The SSE is one print. And it’s not a theatrical print, it’s a dupe print. A print struck from another print. And there’s no guarantees TN1’s colour timing is correct. With all due respect to the team, their equipment wasn’t the best and certainly didn’t deliver them a projection-accurate result. all the transfers show are marked similarity and a stark difference from the Technicolor prints. That many different telecine operator cannot all have done exactly the same corrections on the fly. That color timing has to be from the prints themselves. Right, and the reason why is because telecine operators don’t transfer theatrical prints, they transfer prints specifically struck for telecine (as poita says with different colour timing, often low-contrast, and useless for any other use other than video transfers). That there is consistency amongst the various home releases simply means the telecine prints are themselves consistent with each other, which is hardly surprising. That the 35 mm and 16 mm scans agree with that says to me that the Technicolor color timing is very screwed up. The sources appear to vary between original May 1977 prints (Puggo Grand US, Moth3r, and the early US/UK telecines), later 1977 prints (all the non Technicolor 35 mm prints and early foreign telecines), and the fresh interpostives done in the mid to late 80’s. But the results are all pretty close. That body of fairly consistent color timing in all those transfers vs. what we see in the Technicolor scans to me indicates that the Technicolor prints, while low fade and high resolution, are not representative of the color timing of the optically generated prints. The scene I have taken note of is where Ben and Luke are talking in the canyon. It is so washed out in the technicolor scans while it is so vibrant in every other scan and telecine. I don’t see why you would think poor colour timing would have anything to do with the dye-transfer process? If you start with a correctly timed print, even if something did go wrong it would effect the whole reel (or even movie) not scene by scene. Also there are many other colour references for Star Wars - 35mm LPP from 1983, 35mm Kodak SP from 1977, 16mm prints (likely in both Kodak and Tech) and 8mm too. can’t the scan be color corrected to match the original color timing? Not really. The scanned print had a misaligned dye channel, and an already encoded 1080p mpeg2 bd25 is the best quality anyone has of that scan. Instead of investing thousands of hours in manual clean-up my suggestion is to start fresh from a better source. The end result will be much, much better. Getting a 16mm print scanned in 2K full aperture DPX would be much higher quality than the 35mm HD Telecine transfer (and also better than the existing 16mm scan as well, obviously). Good. Once they release it that should incentivise people to help financially to scan the print I have! 😉 Lion King is completely digital, so they’re not going to give a second thought to how it looked on film. Aladdin at least is quite similar and not too mutilated (and I saw it a couple of years ago in a cinema from a print), but from the release my friends did we can see that it’s quite a different experience on 35mm as well. Honestly, if you guys want SOTS in good quality the best idea would be to borrow the 16mm print and get it scanned on professional equipment at 2K or 4K. It would be much better quality than the 35mm scan, and you wouldn’t have misaligned dye layers that affect the 35mm IB tech prints of this film. Okay well with the 35mm scan now dead, I guess I better do some renders. What I need to do is go through and manually make a mask for every frame leading up to that frame. And before you do that do you want to give me a donation maybe because you’re a big big Disney fan? 😉 Seriously guys I must pay poita back the $230 soon or that’s money he can’t spend on his own endeavours, if anyone can help send me a message. I will give you full previews of my scans in return. If anyone’s interested in donating towards the scanning, I need to pay poita back about $230 for a recent expense that he paid for me. The optical track is in Russian, but there is the theatrical dts audio available. I hope to be in a position to get Lion King scanned in the new year, right now there’s no funding to do it. Once done that will complete the renaissance period, although it will still be desirable to get English prints of BATB and Little Mermaid of course. There are still some prints ahead of it Lion King, so realistically it may still be a while before I’m in a position to get it scanned. I could get a quote if you’re interested, but won’t be cheap. Download link sent to a bunch of people, if I’ve missed anyone let me know.